In this eye-opening look at our Founding Fathers that is full of fun facts and lively artwork, it seems that Ben Franklin, Thomas Jefferson, and their cohorts sometimes agreed on NOTHING…except the thing that mattered most: creating the finest constitution in world history, for the brand-new United States of America. Tall! Short! A scientist! A dancer! A farmer! A soldier! The founding fathers had no idea they would ever be called the "founding Fathers," and furthermore they could not even agree exactly on what they were founding! Should America declare independence from Britain? "Yes!" shouted some. "No!" shouted others. "Could you repeat the question?" shouted the ones who either hadn't been listening or else were off in France having fun, dancin' the night away. Slave owners, abolitionists, soldiers, doctors, philosophers, bankers, angry letter-writers—the men we now call America's Founding Fathers were a motley bunch of characters who fought a lot and made mistakes and just happened to invent a whole new kind of nation. And now here they are, together again, in an exclusive engagement! Fourteen of the men who somehow separated from one country and cobbled together a new one despite their differences are presented in a lively celebration of politics and personalities. 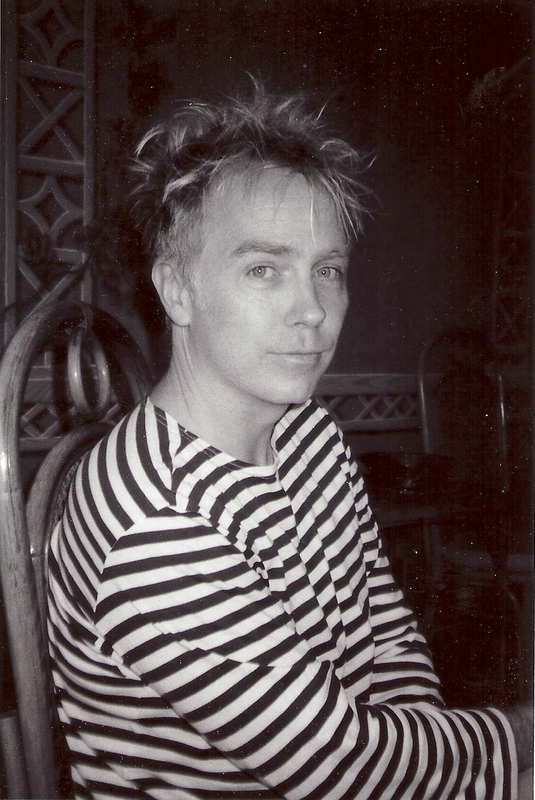 Each gets a two-page spread with a full-page portrait (name, sobriquet and dates included) along with a casual, colloquially phrased summary biography and then lots of stats presented briefly and intriguingly: height, weight, political leaning, education, wealth, and religious belief, in addition to hobbies, nickname and position on the Boston Tea Party. This last, notes Winter in an excellent addendum/glossary, was by no means a political action supported by all the founders. Winter addresses the question of ownership of humans directly, noting what his subjects' expressed views were on slavery as well as which of these early Americans owned slaves. Winter's folksy narrative manages to give each of the founders both dignity and humanity. Blitt's signature style is perfectly suited to this droll enterprise. His Benjamin Franklin multitasks, his Patrick Henry emotes. The witty, energetic illustrations include clever references and a couple of sly anachronisms. Endpapers offer oval portraits of the entire lineup, with Washington, Franklin and Jefferson among the seven on the "Varsity" team, and Hancock, Marshall and Paine among the "Junior Varsity" faces. Author's notes and a resource list are included, but frustratingly, the book lacks pagination and indexing. Wonderful for future constitutional scholars and other curious young readers. Pointing out that the expression “Founding Fathers” sounds like the name of a rock band or baseball team, Winter looks into who 14 of these men really were, warts and all: “Thomas Jefferson was sort of a mixed bag. Dude wrote that ‘all men are created equal.’ But then he also wrote that blacks were inferior humans!” Winter includes quotations from each man, as well as lists of stats with categories including their wealth, political party, “Stance on France,” and “Opinion on Boston Tea Party” (Benjamin Rush was a “huge fan”). Blitt’s pen-and-ink caricatures are right in line with Winter’s playful tone, as he pokes fun at Washington, Franklin, Paine, and others, while giving readers a strong understanding of why these figures’ contributions to the developing nation were so significant. 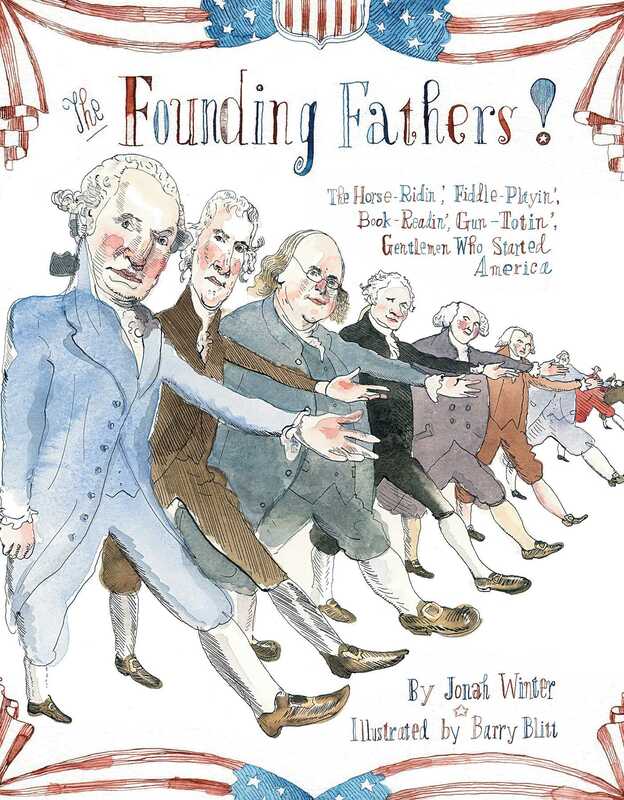 Book Cover Image (jpg): The Founding Fathers!